What records does a business have to keep and for how long? That may seem simple enough to answer, but it isn’t. It depends on the situation. There are rules governing tax records; rules for certain kinds of licensed professionals; and rules for when a business becomes involved in litigation. We’re going to talk about a business involved in litigation. What makes that so important is that the same rules often apply even before anyone has been sued. A business normally generates a lot of paperwork. This frequently includes correspondence, bids, proposals, contracts, sales records, invoices, and receipts. It would cost a tremendous amount of money to maintain all of those records for an indefinite period of time, and that money probably could be better spent elsewhere, including on improving the business. As a result, a business often keeps certain types of documents, such as letters or emails, for only a relatively short time before it discards them. Most New York businesses are faced with litigation at one time or another. It might be a contract dispute, where your customer doesn’t want to pay you for the goods it purchased, or you don’t want to pay your supplier full price because some of the items you bought were defective or arrived late. It could be an action for wrongful termination of an employee. Maybe the dispute is about the terms of a lease, including whether the landlord or the tenant is responsible for making repairs; or the duties under a financing agreement or insurance policy. Most times, the business becomes aware of the problem before someone starts a lawsuit. Often, the parties will try to settle the dispute first, on their own, without going to court. It’s only after negotiations fail that one of them will sue the other to get what it wants. When, exactly, should a business begin to make sure it keeps all the records necessary to protect itself, and what records, out of all the ones that it generates, should it keep? The documents that are produced in litigation often are key evidence in determining which side will win. For example, a Wall Street brokerage, MF Global, went bankrupt last Fall. It allegedly used clients’ money to cover its own losses. The government is investigating whether that happened. The bankruptcy trustee reportedly was considering whether to sue Jon Corzine, the ex-governor and Senator from New Jersey who ran the company, and others, to get back some of the money. A key piece of evidence apparently is an email that allegedly refers to Jon Corzine having approved of using customers’ money that way. In New York, when a business reasonably believes that it will be involved in litigation (i.e., either it will be sued or it will sue someone else), it must preserve records that are relevant to the dispute, including electronic records and emails. Records are relevant, among other reasons, when they concern a party’s claims or defenses. A good way to think of this is, if a record has to do with a reason why you should get what you want in a dispute, or with a reason why the other side should not have to give you what you’re after, then the record should be kept. 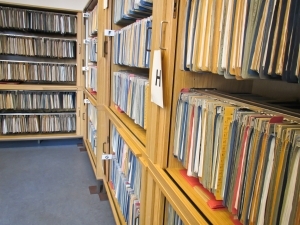 A business must save those records even if it normally would discard them after a short period of time. It must segregate and collect those records so that they can be searched readily by someone other than the person who saved them. It’s not enough to say you saved them; someone else actually has to be able to find them. A business does not have to keep multiple copies of the same, identical documents. It cannot, however, destroy documents that have at least some unique, meaningful value. If a business has two documents, either the second one says the same thing as the first or it does not. If the second document says the same thing as the first, and the first document already has been saved, then the second does not have to be kept. If the second document also has additional, important information relevant to the dispute, then it’s not identical to the first document, and it does have to be saved. Importantly, the business must follow these rules, and retain the records, even before litigation, when it tries to negotiate a settlement in good faith, or even when the business has not yet received notice of a specific claim being made against it; it only must reasonably believe it could wind up in a lawsuit. See VOOM HD Holdings LLC v. EchoStar Satellite L.L.C., 93 A.D.3d 33 (1st Dept. 2012); and Zubulake v. UBS Warburg LLC, 220 F.R.D. 212 (S.D.N.Y. 2003). These rules are enforced by what can be severe penalties. What those penalties are and how they are applied, as well as other aspects of this complex issue, will be discussed in subsequent posts.